CityRaven is redefining the online real estate search, we empower college students and millennials to find within seconds and with one click the NYC neighborhoods and apartments, which they can afford and the ones most compatible to their personal interests and lives. 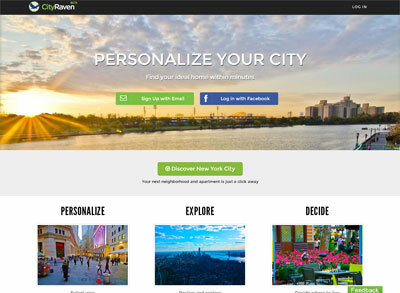 CityRaven is the only real estate platform, which empowers its users to find the most compatible NYC neighborhoods and apartments in the context of their personal interests, within seconds and with only ONE click. 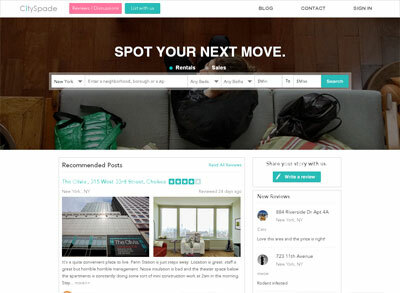 CitySpade is a rental search engine founded in February 2014. Based in Manhattan, NY, CitySpade is made up of a community of dreamers looking for a place to rest in one of the most exhilarating cities in the world. CitySpade’s online and mobile platforms use sophisticated algorithm to provide its users with detailed rental listings in all of New York City’s neighborhoods. Ratings are calculated in terms of rental / sales prices, convenience of transportation, and neighborhood environment (including nightlife, safety, etc.). Skylight, a NYC focused company, is launching exclusively in the Apple App Store and Google Play. 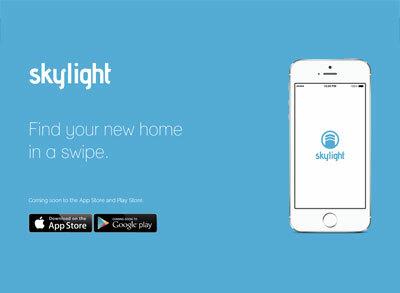 Skylight connects renters to agents through a a beautiful, easy to use card swipe interface. 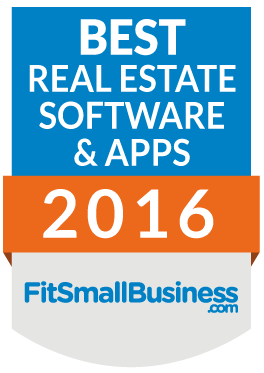 Renters can swipe through listings and contact the listing agent real time, through a revolutionary in app contact button, reducing agent lead times and increasing closing rates. Welcome to Skylight.